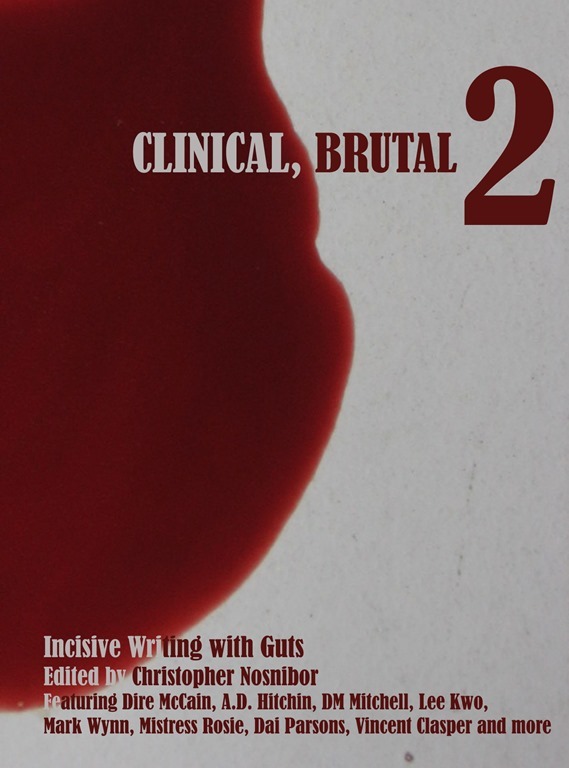 It’s been four years since the first Clinical, Brutal anthology was unleashed to an unsuspecting public. It would be an overstatement to say the world has never been quite the same since, but it was no small achievement for a zero-budget publisher established barely two years. The fact we’re still here is an achievement in itself, and what better way to reassert the vision of Clinicality Press than with a follow-up that’s even more sharply-focused in its clinicality and its brutality? Clinical brutal 2, edited by Christopher Nosnibor will hit the virtual shelves this Autumn, and will be preceded by our first official book launch event, which will take place at our spiritual home The Woolpack in York on Monday 8th September 2014. A number of the featured authors will perform. There will be music. There will be copies of the new book available for purchase, before it hits Amazon or anywhere else, and at a discounted launch-night price. Other Clinicality Press titles will also be available. There’s much work to do, not least of all in terms of formatting, editing and proof-reading, but it’s shaping up to be a truly killer collection. It has a cover already. It looks like this. Watch this space and the Clinicality Facebook page for further updates.